Beautiful Step Kits from Marshalls. This is a fantastic set of formal steps using Marshalls Fairstone sawn step kits. Marshalls Weatherpoint 365 was used for pointing so this set of steps will continue to look fantastic for years and years. Lighting adds to the effect. High quality light fittings supplied by the Light Haus in Wilmslow. Let your Driveway give you extra kerb appeal with COREgravel Updating your Driveway can make a huge difference to the kerb appeal of your home. Perhaps you are thinking of putting your house on the market? Maybe you want to improve how your house looks as your neighbours drive by? Great Garden Design is also about making the boundary of your garden look great.  At Creative Gardens and Driveways we are often asked to consider the boundary of the garden as the first step. The boundary of your garden needs to be effective, in most cases, at keeping your garden secure. We will look at hedging, fencing and wall options to see which fits in best with the overall look you are trying to create as well as the garden design budget you have to work with.